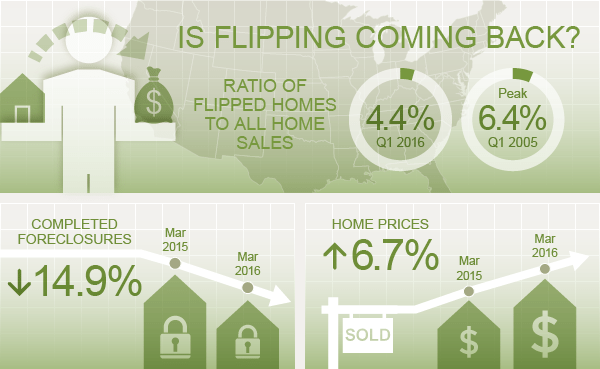 The RHPI was unchanged in March 2016 from February 2016. The RHPI decreased 2.1 percent year-over-year. The five states with the highest year-over-year increase in the RHPI are North Dakota (16.0 percent), Wyoming (14.7 percent), Rhode Island (12.2 percent), Delaware (6.0 percent) and Missouri (5.6 percent). The MiMi is at 83.8, up 1.00 percent month-over-month. The quarterly MiMi is up 1.56 percent. Year-over-year, the MiMi is up 7.23 percent. Mortgage applications increased 2.3 percent from one week earlier (adjusted). The refinance share of mortgage activity decreased to 53.7 percent of applications from 54.6 percent the previous week. The average contract interest rate for 30-year fixed-rate mortgages with conforming loan balances ($417,000 or less) increased to 3.85 percent from 3.82 percent. 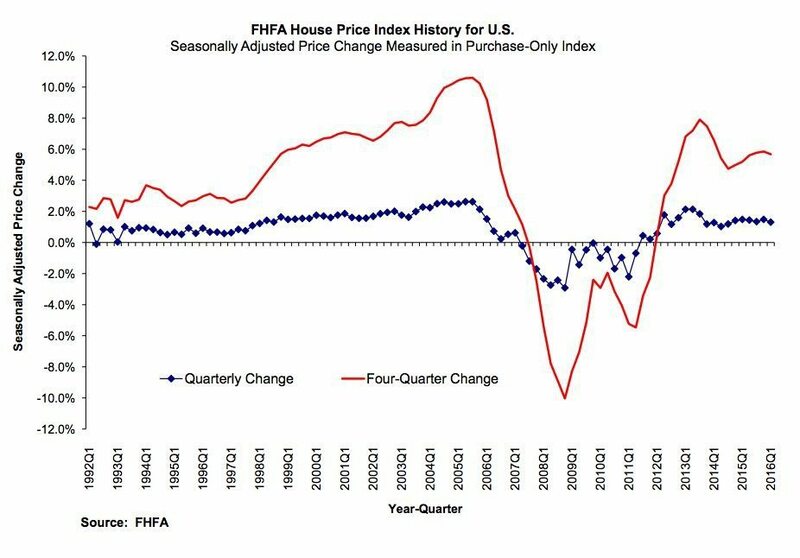 Home prices rose in every state between the first quarter of 2015 and the first quarter of 2016. Annual price increases were greatest in the metro area of West Palm Beach-Boca Raton-Delray Beach, Florida, where prices increased by 16.7 percent. Prices were weakest in El Paso, Texas, where they fell 2.8 percent.